It’s March. Which means spring is just around the corner. So we popped open our favorite Rosé to inspire our dive into the best #winecellars of Instagram. Here’s what we found. 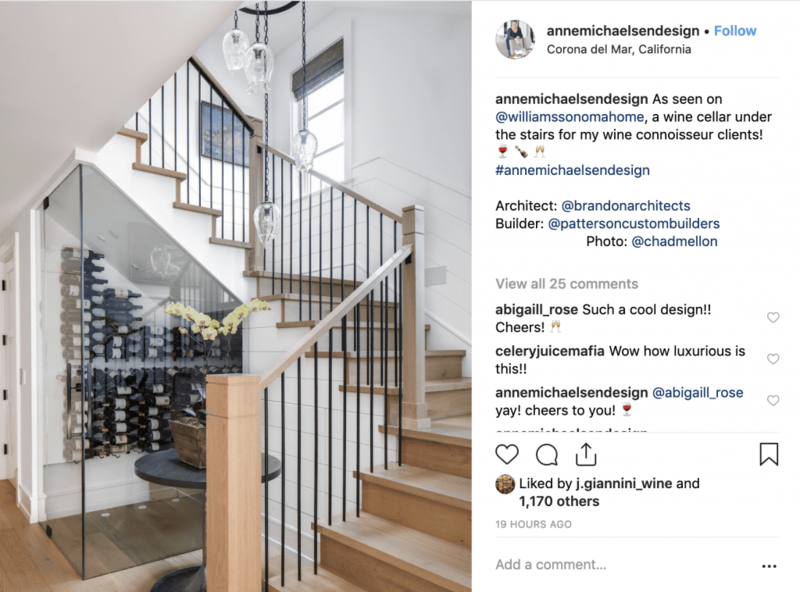 This under-the-stairs wine cellar was built with William Sonoma Home in mind. Literally. Anne Michaelsen Design created a custom contemporary metal wine rack display with the help of Brandon Architects and Pattern Custom Homes. The SoCal dream team created sheer luxury in the form of sleek design. The solution to storing a collection of rare vintages and enjoying them in the same setting? This. 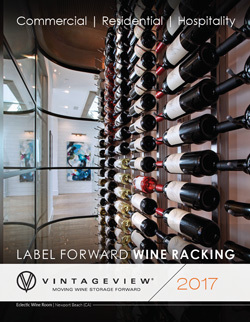 Designed by Wine Cellar Innovations, an elite VintageView dealer, a lucky Oklahoma collector can store 750 bottles of the finest wine in a beautifully designed space fit for entertaining and lots of wine tastings. 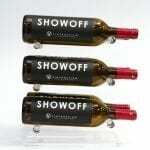 Wine display features Wall Series in triple-bottle depth configuration and Presentation Rows in satin black. We believe that solution to most home design problems is to add a wine cellar. 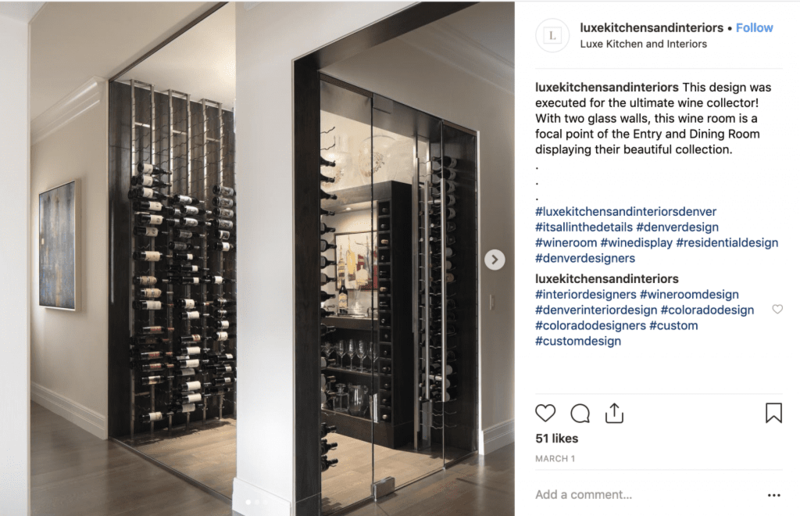 Looks like Denver-based design firm Luxe Kitchens and Interiors thinks so, too. 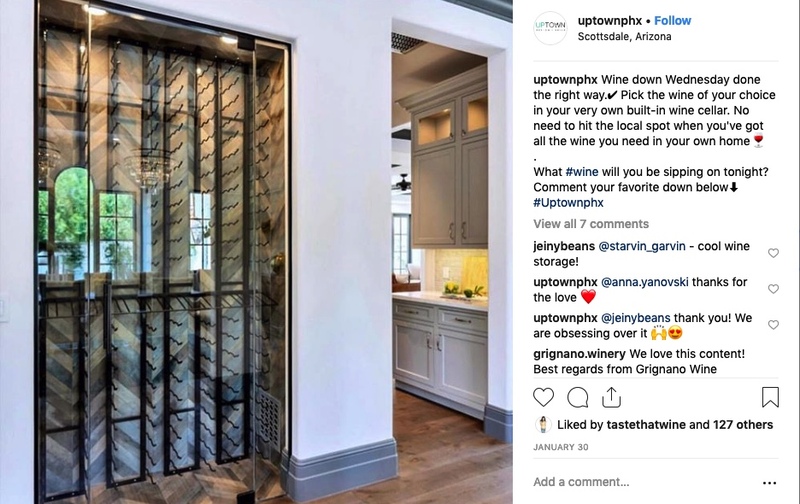 Using a floating wall concept to hold the wine racks, Luxe was able to create an airy room divider on one side and show off a beautiful, dark wood wall behind the bottles on the opposite side. mounted on Floor-to-Ceiling Frames. All in brushed nickel. 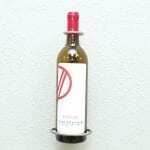 Uptown Design and Build masters the transitional look with this off-the-kitchen wine display. The glass and label-forward metal wine racks add the modern elements while the wood paneling warms the space. Outside the bustle of Chicago is the quaint village of Glen Ellyn, a place where homeowners enjoy a slower pace of life yet still love some fantastic wine. 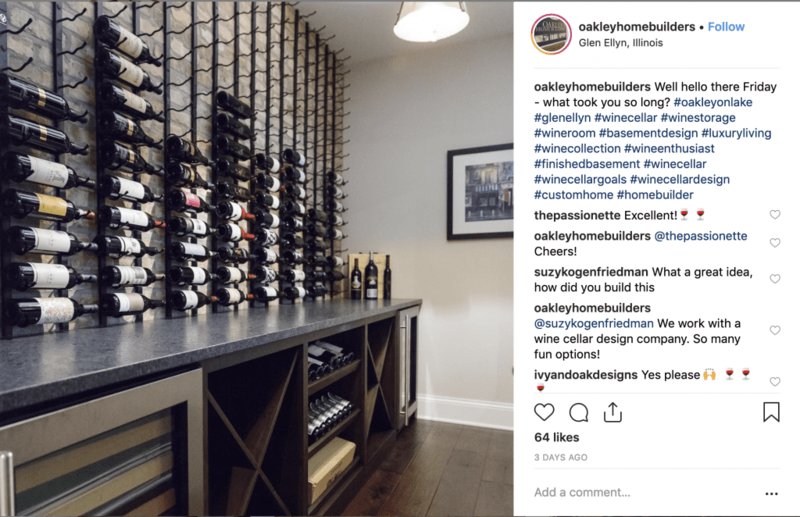 This project, by Oakley Home Builders, takes the label-forward wine wall trend to a pretty sweet little room. Faux brick (well, we think it’s faux, anyway) walls give the design some depth, and the black metal wine racks give the wine the proper amount of prominence. 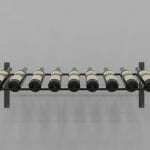 Wine wall features Wall Series wine racks in single-deep bottle configuration in satin black finish. The glass wine room is perhaps the biggest trend in wine cellars this year. When you look at this 500+ bottle display by Salt Marsh Contracting, you can see why. Fully climate controlled to keep the vino in great condition regardless of the South Carolina elements, this display blends into a well-appointed dining area. Let’s have a dinner party, shall we? 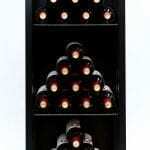 Wine display features Wall Series wine racks in triple-deep bottle configuration in satin black.